← Gingerbread men. Yes..yes…I know it’s late. 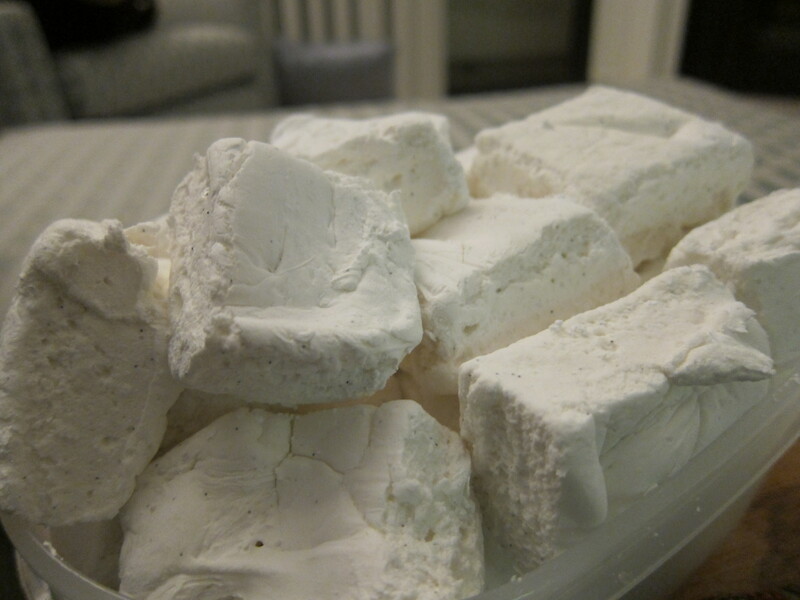 A lot of people don’t know this, but the first marshmallows were used as a medicinal substance. They used to make it with mucilaginous extracts which came from the marshmallow plant [Althaea officinalis]. The Marshmallow plant was used for sore throats. The creation of marshmallows as candy dates back to ancient Egypt where they would make the marshmallows and mix it with nuts and honey. Using the plant was very labor intensive and finally the French found a way to make the marshmallow with gelatin or egg whites. And there you have it! They are very very easy to make, just a bit sticky. I took this recipe from the amazing Martha Stewart. When in doubt, go to Martha Stewart :). So take a 9 by 9 inch baking pan and spray it with cooking spray. Then line it with plastic wrap. 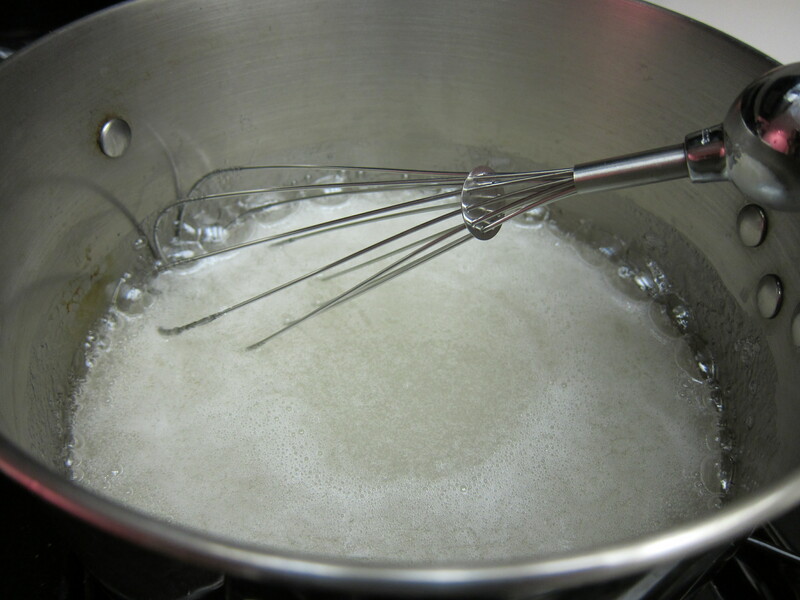 Sprinkle gelatin in the bowl of a standing mixer and pour 1/2 c water over it. Let it stand for 10 minutes. Bring sugar, corn syrup and the rest of the water to a boil. Then with the the mixer on high, pour the boiling mixture into the gelatin mixture. Add the salt and keep mixing for around 10-12 minutes. 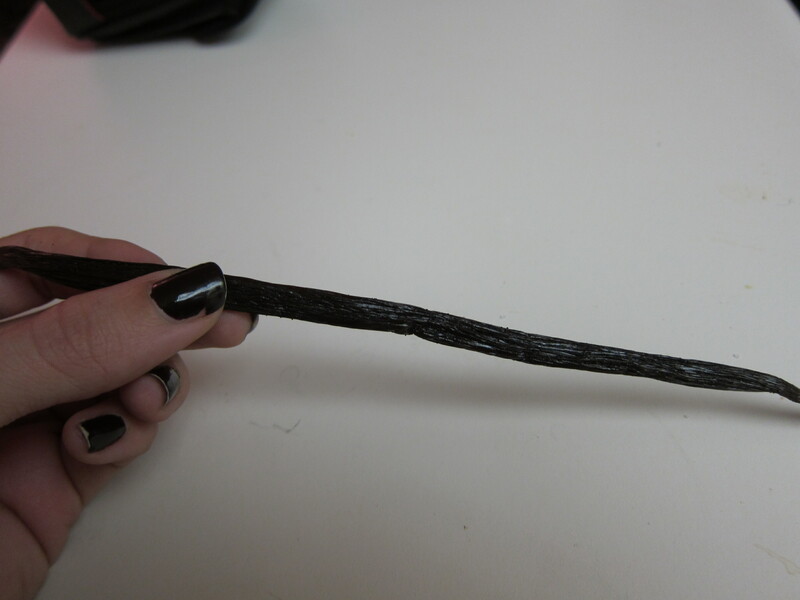 Now take your vanilla bean. Scrape it and pour the seeds and vanilla extract into the mixture. Once it’s fully incorporated, you need to take the mixture out and put it into the baking dish. Spray a spatula with cooking spray. The oil keeps the mixture from sticking. Get the mixture into the baking dish and flatten it out. Take a piece of plastic wrap, that will cover the prepared baking dish, and spray it w cooking spray. Place it on top of the dish spray side down. Let it stand for 2 hours. Then carefully remove the marshmallows and take the plastic wrap off. Oil a sharp knife and cut into preferred size pieces. Roll each piece in confectioner’s sugar and enjoy! Lightly spray a 9-by-9-inch baking pan with cooking spray. 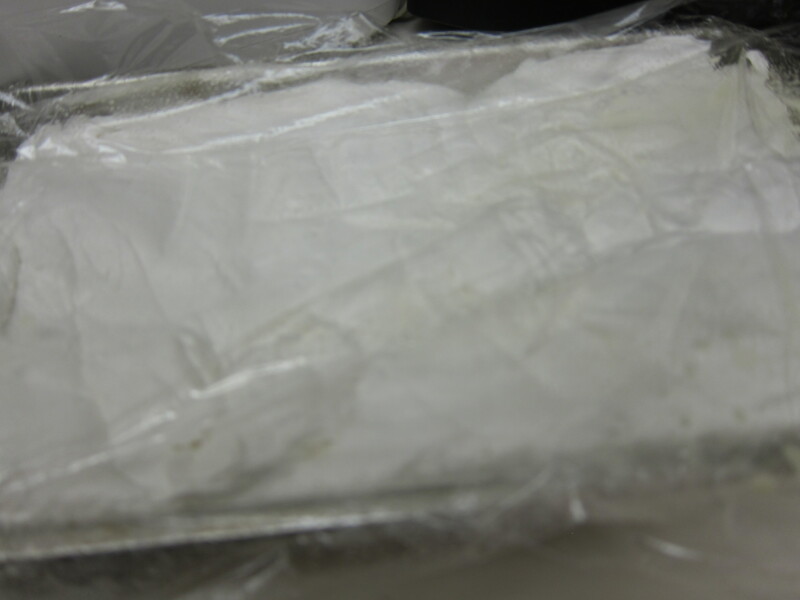 Line pan with plastic wrap, leaving a 2-inch overhang on all sides; set aside. In the bowl of an electric mixer fitted with the whisk attachment, sprinkle gelatin over 1/2 cup cold water; let stand for 10 minutes. 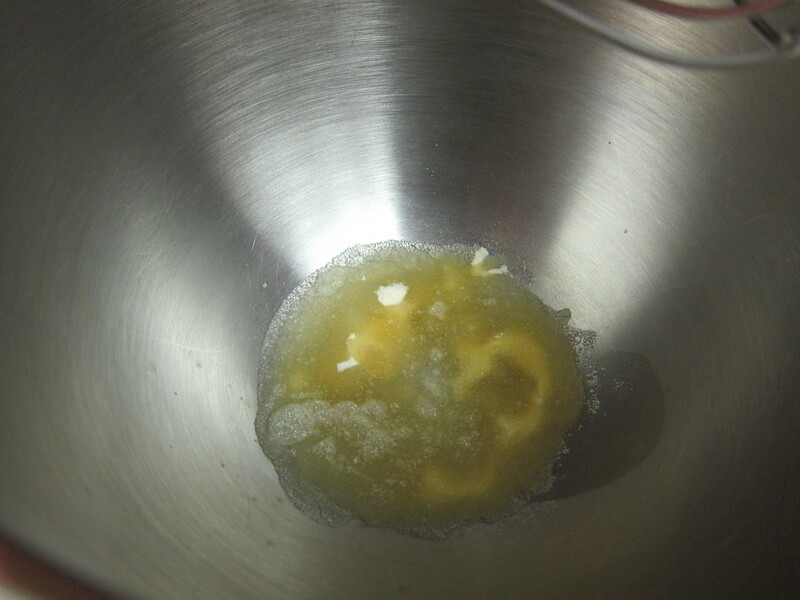 In a medium saucepan, combine sugar, corn syrup, and 1/4 cup water. Place saucepan over medium-high heat and bring to a boil; boil rapidly for 1 minute. Remove from heat, and, with the mixer on high, slowly pour the boiling syrup down the side of the mixer bowl into gelatin mixture. Add salt and continue mixing for 12 minutes. Add vanilla extract and vanilla bean seeds; mix until well combined. Spray a rubber spatula or your hands with cooking spray. Spread gelatin mixture evenly into pan using prepared spatula or your hands. 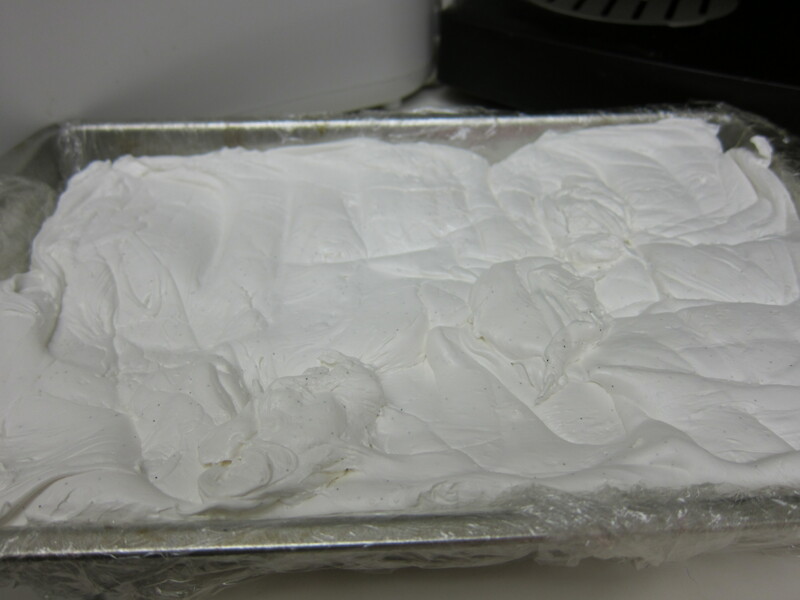 Spray a sheet of plastic wrap with cooking spray and place, spray side down, on top of marshmallows. Let stand for 2 hours. Carefully remove marshmallows from pan. Remove all plastic wrap and discard. 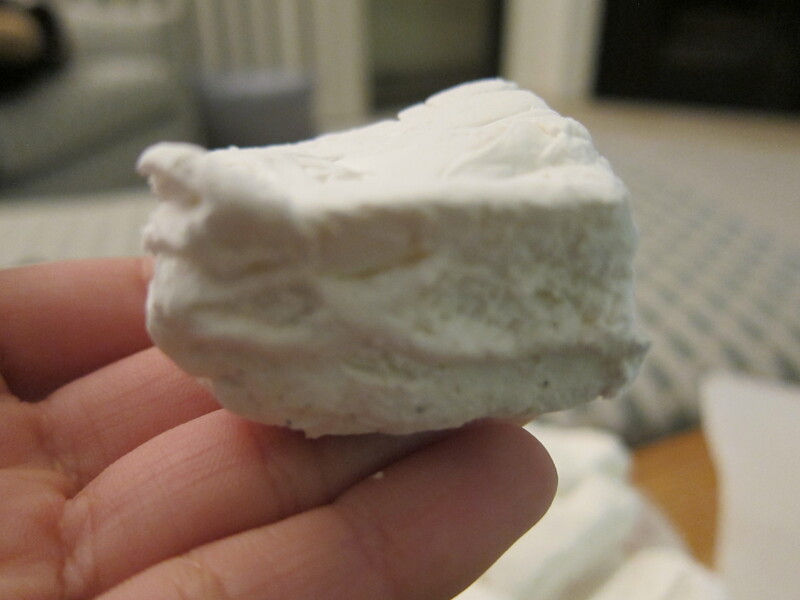 Cut marshmallows into 2-inch squares using a sprayed sharp knife. Place confectioners’ sugar in a large bowl. Working in batches, add marshmallows to bowl and toss to coat. 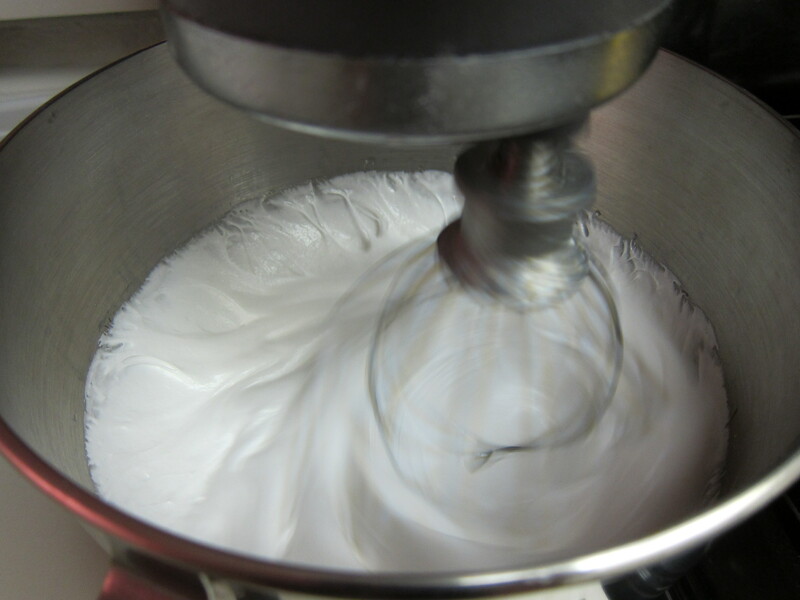 Marshmallows can be stored in an airtight container up to 3 days. Happy hot chocolate making and dropping marshmallows [many, many of them] into it! This entry was posted in Other Sweets. Bookmark the permalink.